Every day, law enforcement officers across America are called to respond to murders. Each homicide case is tragic, but there are few cases more heartrending and difficult to understand than serial murder. The crime is a relatively rare event, estimated to comprise less than one percent of all murders committed in any given year. However, there is a macabre interest in serial murder that has generated countless articles, books, movies, and discussions. 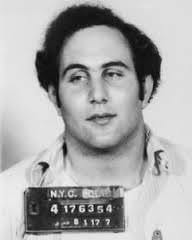 New York’s ‘Son of Sam’ pictured here—is often mentioned when police talk about serial murder. The FBI’s Behavioral Science Unit (BSU) is one of the instructional components of the FBI‘s Training Division at Quantico, Virginia. Its mission is to develop and provide programs of training, research, and consultation in the behavioral and social sciences for the Federal Bureau of Investigation and law enforcement community that will improve or enhance their administration, operational effectiveness, and understanding of violent crime. Through its legacy of training, research, and consultation activities, the BSU developed techniques, tactics, and procedures that have become a staple of behavioral-based programs, e.g. serial murder that support the law enforcement, intelligence, and military communities. It is here where the terms “serial killer” and serial murder were coined and where criminal investigative analysis and “profiling” were developed. FBI Special Agents offer critical support to serial murder investigations by developing timelines on victims and suspects, compiling matrices to highlight similar case elements, and providing general analytical support. Expert witnesses often play a significant role in high profile serial murder investigations, dealing with forensic and competency issues. In many serial murder investigations and prosecutions, the task of linking the defendant to the victim and the homicide scene(s) has been simplified because of physical, trace, and/or DNA evidence located at the scene. Expert forensic witnesses are utilized to explain serial murder analysis and value of serial murder evidence. Identifying and securing the services of forensic psychologists and psychiatrists are important when addressing issues of competency, diminished capacity, and the insanity defense. Consideration should also be given for other collateral expert witnesses, who may be utilized to address issues outside of the customary topics, such as blood spatter. Directory members can be extremely helpful to anyone seeking information and/or requiring a professional opinion concerning serial murder. Looking for an expert on serial murder—visitors need only use the website’s search feature, entering the appropriate skill and geographical area of preference to identify an FBI specialist and thereafter make contact using the information provided.